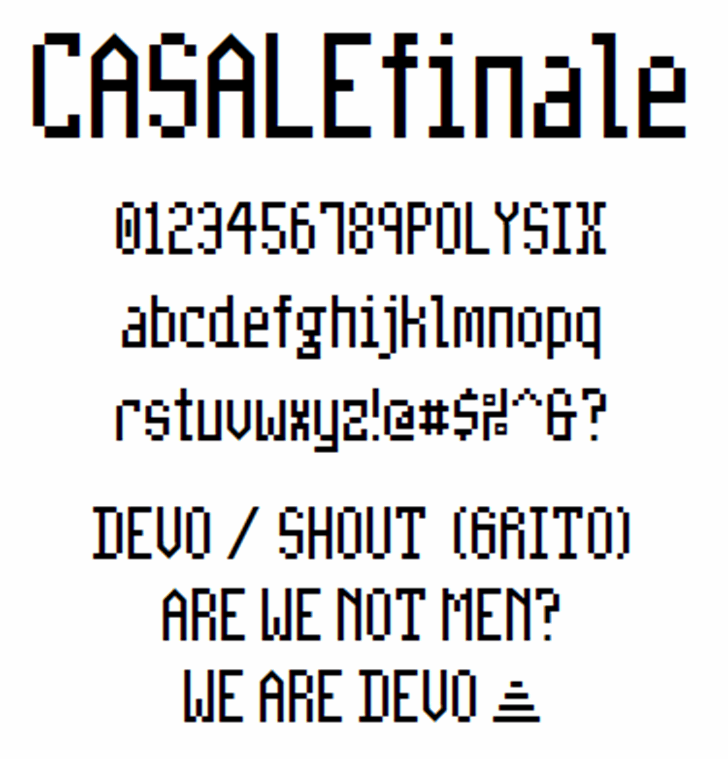 I think I've finally got it right this time, spuds! 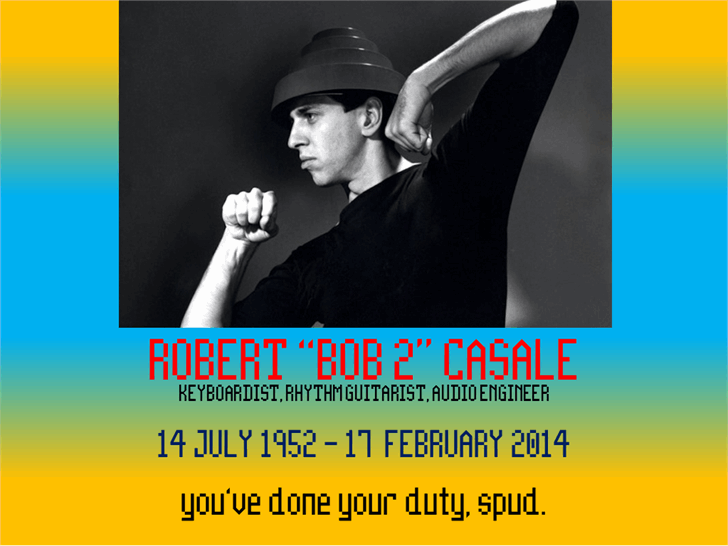 total FontGeek Digital Type Foundry, Ltd. would like to extend our sympathies to the family and friends of Robert "Bob 2" Casale, who died of heart failure on 17-February-2014. You've done your duty, Spud. 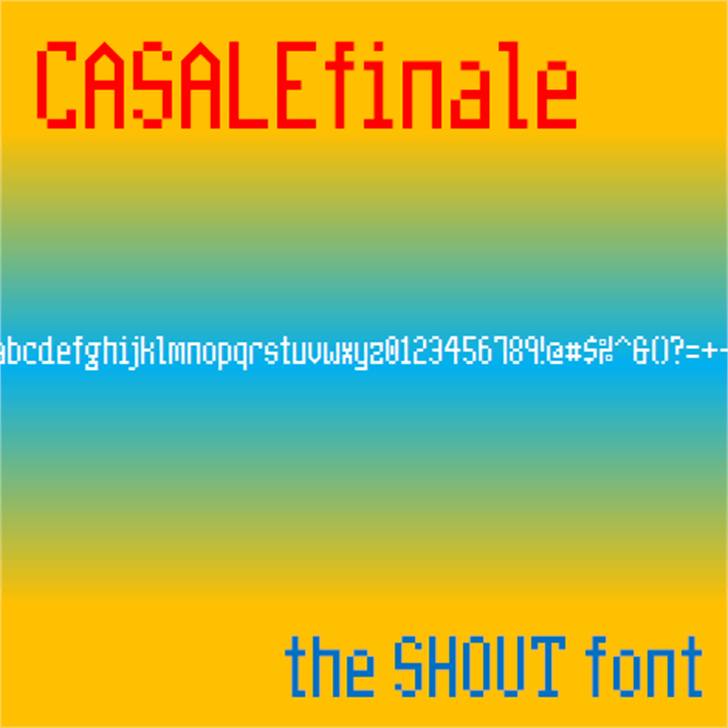 CasaleFinale is part of the NBP Collection.